Lawyers for the detainees contest the official numbers, saying that some 130 prisoners are actually taking part in the protest. The hunger strike began around February 6, when detainees claimed prison officials searched their copies of the Koran for contraband, according to their attorneys. Prisoners are also protesting their extrajudicial incarceration at the prison. 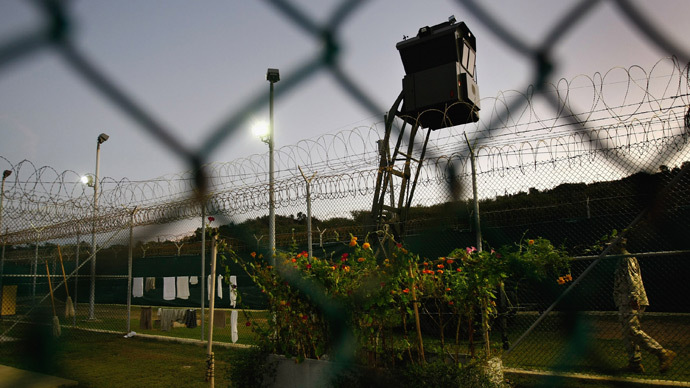 Most of Guantanamo Bay’s 166 detainees have been cleared for release or were never charged, a situation that has prompted criticism from human rights organizations. 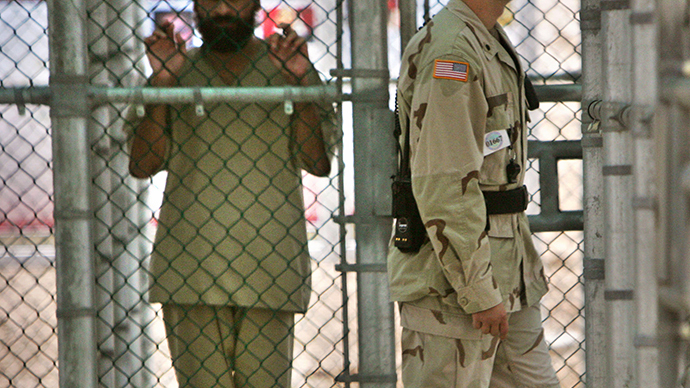 “The illegal detentions without charge or trial at Guantanamo Bay have gone on for more than a decade with no end in sight, so it’s not surprising that detainees feel desperate,” counterterrorism advisor at Human Rights Watch, Laura Pitter, said in a statement. “I refuse to say ‘force-feeding.’ It refers to a cartoon where individuals are strapped, yelling, screaming, mouth open and food is dumped down the person’s throat and that is not the case,” Guantanamo spokesperson Lieutenant Colonel Samuel House said, as quoted by AFP. “We will continue to prevent people from starving. It is by all means the rights of detainees to protest, however it is our mission to provide a safe, secure and human environment and we will not allow our detainees to starve themselves to death,” House added. White House spokesperson Jay Carney argued that Congress is to blame for the failure to close Guantanamo, not the Obama administration. 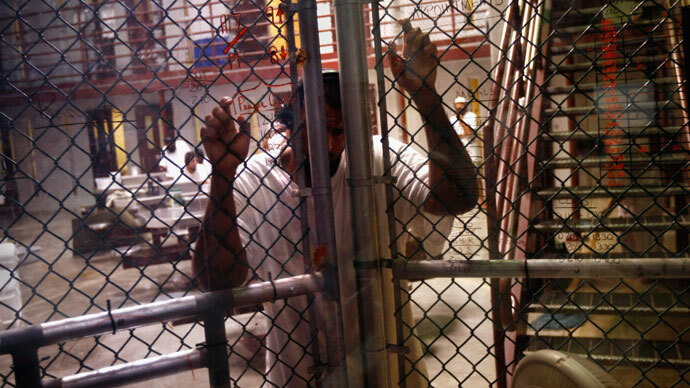 “The president remains committed to closing the detention facilities at Guantanamo Bay,” Carney said in a statement. 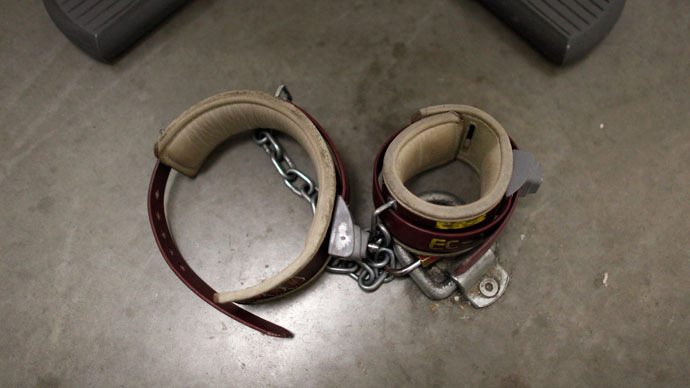 “A fundamental obstacle to closing this detention facility…remains in Congress." 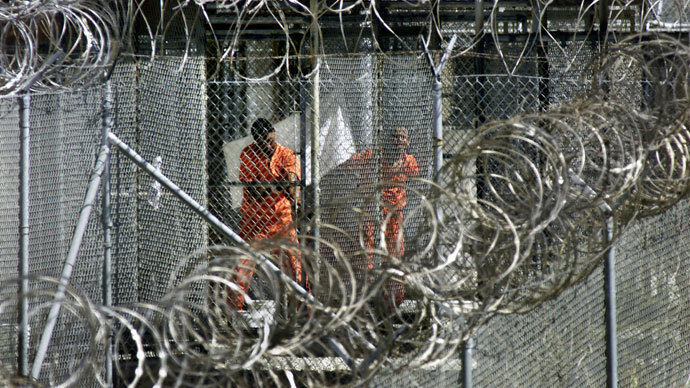 President Obama pledged to close Guantanamo as he assumed office in 2009. 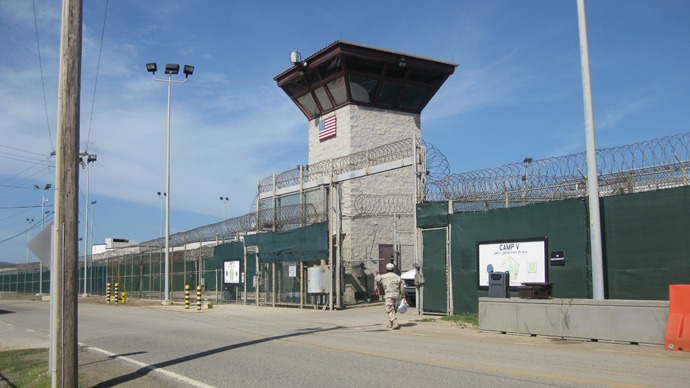 However, he was unable to act on his promise after Congress imposed restrictions on Gitmo detainee transfers. RT is currently on a waiting list for a media visit to Guantanamo Bay.